The e-book bestselling author, Fiona Gibson is back. 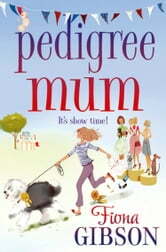 Laugh-out-loud funny from the author that bought you Mum On The Run. Fiona’s writing deals with the real life cringe-worthy moments we all know so well… A straying husband. A broken heart. And a crazy rescue dog in a town of posh pooches… When Kerry Tambini upped sticks with her family to a new home on the coast, she couldn’t have been happier. Then husband Rob made the biggest mistake of his life… Stranded with her children in snooty Shorling, Kerry has plenty on her plate. So how can she say no to the kids' pleas for a dog when they're missing their father dreadfully? Will adopting a wayward hound lead Kerry to a new love – or has she bitten off more than she can chew? 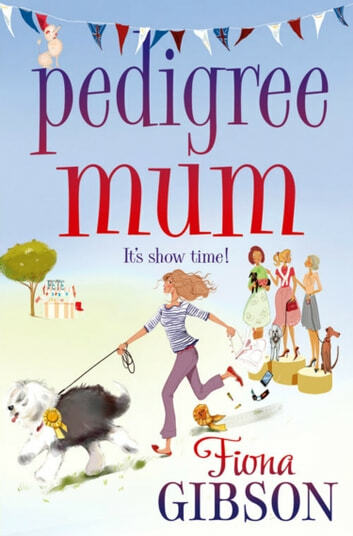 As she steps back into the dating world Kerry must juggle her family, her neurotic dog and try to fit in with the local pedigree mums, making her a true heroine for our time. I thoroughly enjoyed this book, with some highs and lows within the story it really gets you feeling for the characters. This is an easy read, nothing too complex and I highly recommend if you like these types of books. Loved this book, praise for another successful fiona Gibson novel!! Laughed til tears ran down. Very funny in my opinion. Really liked the twists and turns. Funny and moving. The dog really made the book for me.